"We bake tech startups and brands together to take new technologies to market at rocket speed. Boom!" 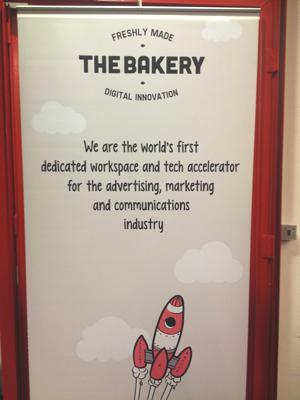 The Bakery was founded from a realisation that tech startups are innovating and coming up with brilliant ideas and big brands are looking for innovation in tech to engage with their customers. All sounds great, except for the fact that the big brands and their marketing agencies not only speak different lingo, but are a million miles apart from the tech startups. Unless you are lucky enough to play golf with or live next door to the Chief Marketing Officers at Heinz, Stella or BMW, they are virtually untouchable for you and your startup. For a handful of startups, in just a few weeks this problem will be solved! 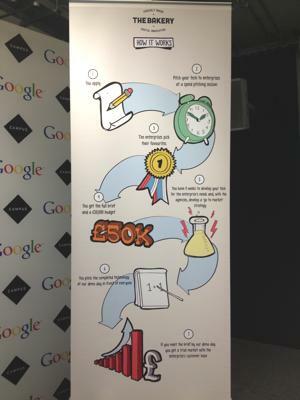 Through The Bakery, a handful of tech startups will win a contract worth up to £50K from one of these brands - a launch pad for their business that is pretty much unrivalled. 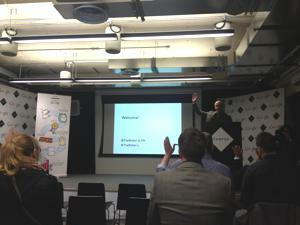 We are applying to The Bakery accelerator, it's a once in a life time opportunity for us... Fingers crossed. Finally, there always seems to be free cake and beer at these events, love it!